You expect Columbia’s Best Quality at Lowest Prices, but did you know that we repair too? Jewelry Warehouse has full service on site jewelry repair at each of our four locations. Jewelry Warehouse offers a complete range of jewelry repair, alteration, and remount services including Gold, platinum and silver jewelry repair, Laser welding, solders, Ring sizing, Stone setting, Engraving,Watch batteries, Remounting, Custom Design and Pearl Restringing. Whether your piece is worn, damaged, or simply out of style, our attentive staff and experience jewelers are dedicated to extending the life of your jewelry. Jewelry Warehouse can offer you full size, on-premise repair and manufacturing facilities to service all your jewelry needs. We work on gold, platinum, and silver jewelry. You will have the security and peace of mind knowing full-time jewelers will work on your jewelry and it will not leave our premises. All of our jewelry services begin with an initial consultation and inspection of your piece and includes a free estimate. Each piece is handled with the utmost respect and care. Clients can rest assured when jewelry is left in our care. Our high security vault provides peace of mind. Stone setting (including tightening, channel set, bezel set, bead set, pave’ set and bright cutting). Finishing (including plating, epoxy, polishing & clean ring, satin finish and florentine finish). Chain repairs/soldering (including advanced chain repair, basic chain repair, chain braiding with soldering, jump ring solder and charm soldering). Clasp repair (including spring rings, fish hook, lobster claw, box clasp and barrel clasp). Pearl repair (including knotted restringing, restring without knots, drill pearl and glue pearl). Engraving (including simple ring engraving and engraving setup). Fabrication (including rebuilding bezel, seat and channel sets, gold link rebuilding, gold link addition/removal and bail repair). Jewelry Warehouse has added a Laser Welder to our long list of tools which eliminates so many problems with design and repair. 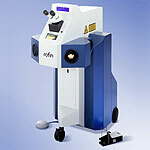 Mostly it eliminates the need to apply heat from the soldering torch which keeps stones, enamels and thin metals safe. 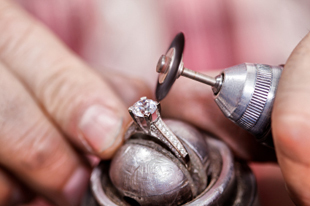 This allows us to restore and repair jewelry that is considered too delicate or fragile. The laser welder makes it possible to do repairs that were once impossible. Designing and constructing custom pieces with the laser has given us much more freedom to create truly amazing designs. Laser welding is possible on most metals ranging from gold, platinum, silver, titanium, gold filled, pewter, and copper. Bring your jewelry to Jewelry Warehouse for a free estimate and let our expert staff take care of you. In addition to our repair services, we offer Custom Design Jewelry. We specialize in custom jewelry design, and will make jewelry to order. With some of the area’s finest craftspeople who take great pride in their work, and each with their own unique style and technical strengths, we are able to create all types of custom jewelry. You can be confident that each item that we create or repair for you will be given a thorough inspection upon completion and will be guaranteed to meet or exceed your expectations. Another new piece of technology that we are very proud of is our CAD/CAM system. CAD/CAM stands for Computer Aided Design/Computer aided Manufacturing. CAD/CAM is a tool we use as designers to obtain the details and precision in our designs that were impossible before. CAD/CAM takes our ideas as designers and turns them into a reality. You send us a picture or sketch. Jewelry Warehouse will then proceed to create your design in our CAD/CAM program. Once the design is ready for a viewing, it is sent to a model master lathe to cut the wax for your approval. This is an excellent way to incorporate your heirloom gems, as well as your own ideas, into a piece of custom jewelry to be enjoyed for many years to come. 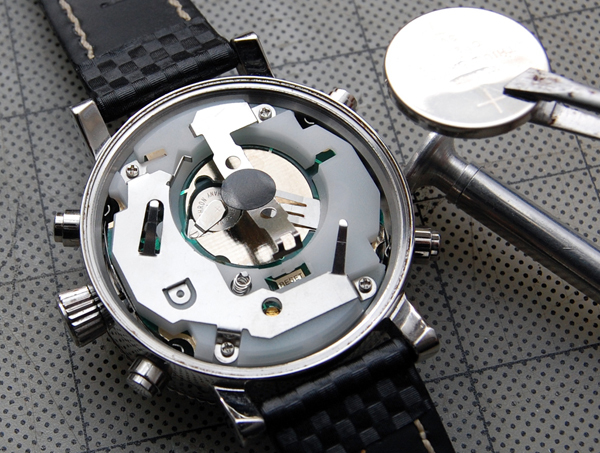 We also offer a battery and watchband changing service. Jewelry Warehouse does a huge watch battery replacement business! We literally change thousands of watch batteries each year. Because of the dangers inherent with opening the back of a watch, “you shouldn’t try this at home.”. Unfortunately, that is exactly the reason why it is so difficult to find a place you can have this service performed. It gets very costly when inexperience leads to the breaking of a crystal or slips that damage the movement inside of a valuable watch. We have the experience, the tools and the means by which you can have your watch batteries replaced. relax knowing you have someone reliable and reputable to do quality work. have the benefit of dealing with a recognized and trusted jeweler for over 40 years! . be guaranteed your jewelry to be inspected for quality assurance. have the pleasure to wear your jewelry again with confidence! join our growing family of satisfied customers. Contact us for a consultation and find out what we can make for you. And remember, you will always work directly with your artist. This entry was posted in Jewelry, Jewelry Cleaning Information, Jewelry Tips and tagged Cleaning, Jewelry, jewelry repair, jewelry warehouse, repair. Bookmark the permalink. 1 Response to We offer Full Service Jewelry Repair on site!